A major power boost for the top-end MacBook Pro, with Thunderbolt offering exciting possibilities. 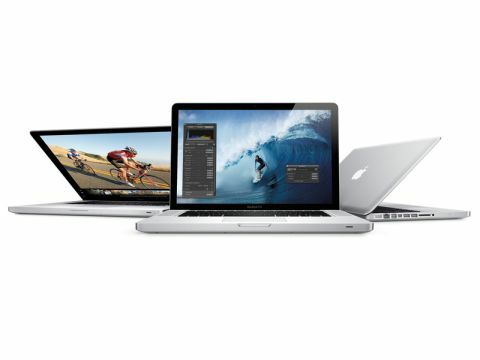 The 2011 MacBook Pro refresh is far more radical than it might seem. At a glance, the aluminium unibody Apple MacBook Pro line-up – including this top-of-the-range 17-inch model – look pretty much the same as their predecessors. But under the hood, they feature significant and very welcome advances. Intel's new second-generation Core series processors (Sandy Bridge) are used throughout the MacBook Pro range, even the 13-inch model, which missed out on the first generation of Core series CPUs due to a mix of legal disputes and practical issues. The MacBook Pros have finally left behind the ageing Core 2 Duo chips, and no doubt the rest of Apple's notebook line-up will also do so the next time they are refreshed. In a welcome move, Apple has skipped the entry-level Core i3 processor and equipped all early-2011 MacBook Pros with at least a Core i5. This top-of-the-range 17-inch model, costing £2,099, brings us a quad core 2.2GHz Core i7, which you can boost to a 2.3GHz chip for an extra £200 if you order online at the Apple website and avail yourself of the custom option. The 15-inch models also offer quad-core Intel Core i7s, with the high-end 13-inch MacBook Pro giving us a dual-core Intel Core i7, and the cheaper 13-inch model a dual core Intel-Core i5.